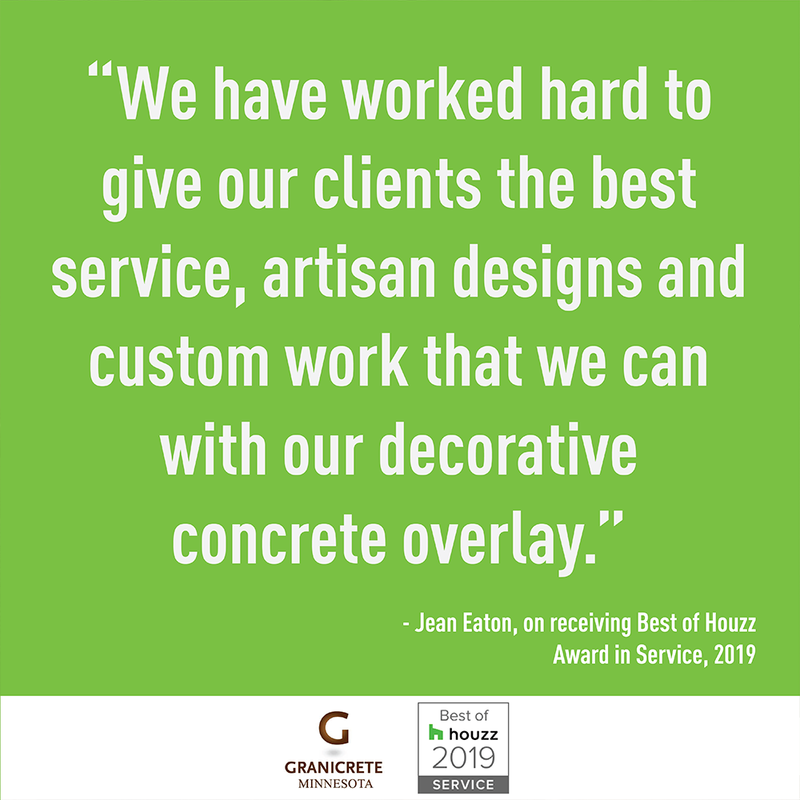 Albert Lea, MN, January 25, 2019 – Granicrete Minnesota has won “Best Of Customer Service” on Houzz®, the leading platform for home renovation and design. The 11-year-old decorative concrete company was chosen by the more than 40 million monthly unique users that comprise the Houzz community from among more than 2.1 million active home building, remodeling and design industry professionals. recognized with the Photography award. “We are thrilled and honored to be recognized by this national residential remodeling and building website platform! 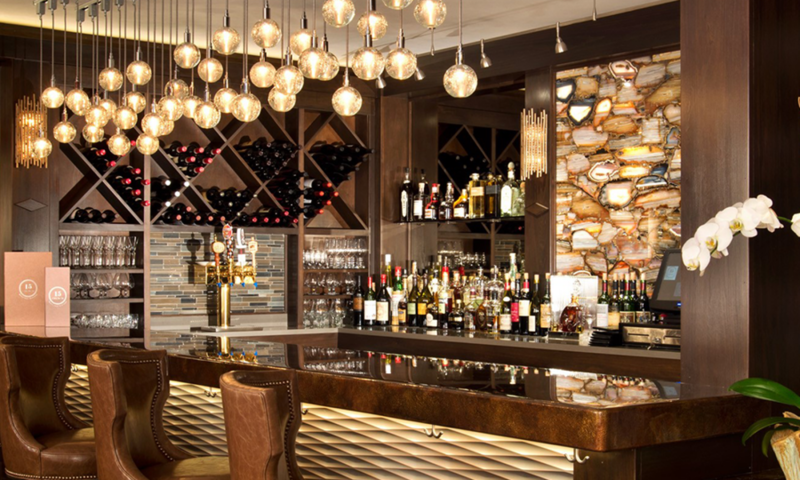 We have worked hard to give our clients the best service, artisan designs and custom work that we can with our decorative concrete overlay,” states owner Jean Eaton. Decorative concrete overlays are still a relatively new product in the building industry. Granicrete Minnesota works in the commercial (see on Mortarr.com) and residential areas in the new build and remodeling projects for both interior and exterior applications. They provide overlays for countertops (NSF certified), interior floors, garage floors, bath/showers, patios/walkways, outdoor kitchens, walls, pool decks, furniture, fireplace surrounds and much more! They have been featured at the Minneapolis Home & Garden Show in the “IDEA HOUSE” 2017, 2018, 2019, on Extreme Makeover: Home Edition, three episodes of I HATE MY KITCHEN, HGTV magazine and many artisan home tours in the Minneapolis area. Granicrete Minnesota has a large showroom in Golden Valley and a training center-warehouse in Albert Lea, MN. residential design database in the world and a vibrant community empowered by technology, Houzz is the easiest way for people to find inspiration, get advice, buy products and hire the professionals they need to help turn their ideas into reality. Headquartered in Palo Alto, Calif., Houzz also has international offices in London, Berlin, Sydney, Moscow, Tel Aviv and Tokyo. Houzz is a registered trademark of Houzz Inc. worldwide. For more information, visit houzz.com. For more information about Granicrete call 763-367-0947 or 507-373-3547.